Upgrade the look and feel of your entertainment room with Repose's professional-quality massage chairs, ergonomic gaming chairs and comfortable and stylish theater seats. 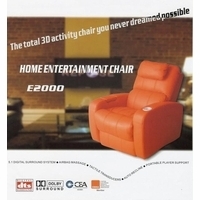 Repose Corporation was founded in 2004 and is now considered as a leading entertainment chair manufacturer. Repose is the first to introduce massage chairs that look like actual household furniture. 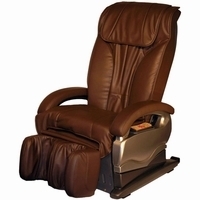 Enjoy a deep tissue massage as you lounge in one of Repose's modern vibration massage chair in leather material. Repose massage chairs come with automatic and manual massage modes, user-friendly controller, adjustable intensity and auto timer. When it comes to totally entertaining movie time at home, check out Repose's entertainment chair will built-in 5.1 stereo system. And if you truly wish to take the entertainment to the next level, get Repose's fold-able gaming chair with two satellite speakers and the Sub-Sonic Bone Rattler Technology that lets you feel gunfire, explosions, and other low-frequency special effects. The best seating options for your entertainment room is right here at ShopFactoryDirect. 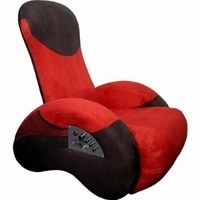 Shop for a Repose chair today and step up your gaming and movie-watching experience right from the comfort of your home.